Alzheimer’s disease (AD) is the most common neurodegenerative disease and seriously damages the health of elderly population. Clinical drug research targeting at classic pathology hallmarks, such as amyloid-β (Aβ) and tau protein, failed to achieve effective cognitive improvement, suggesting that the pathogenesis of AD is much complicated, and there are still other unknown and undetermined important factors. 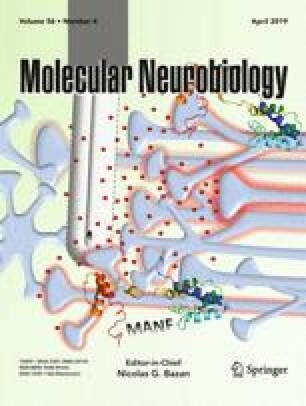 Death-associated protein kinase 1 (DAPK1) is a calcium/calmodulin-dependent serine/threonine kinase that plays an important role in various neuronal injury models. Mounting evidence has demonstrated that DAPK1 variants are associated with AD risk. The activation of DAPK1 is also involved in AD-related neurodegeneration in the brain. Exploring the roles of DAPK1 in AD might help us understand the pathogenic mechanisms and find a novel promising therapeutic target in AD. Therefore, in this review, we comprehensively summary the main progress of DAPK1 in the AD studies from genetic risk, neuropathological process, and clinical potential implications. We thank Su-xia Li from the National Institute on Drug Dependence and Peking University for the revision of this work. This work was supported by Beijing Municipal Natural Science Foundation (7184215); Beijing Talents Foundation (2017000020124G251); the key project of the National Natural Science Foundation of China (81530036); the National Key Scientific Instrument and Equipment Development Project (31627803); Mission Program of Beijing Municipal Administration of Hospitals (SML20150801); Beijing Scholars Program; Beijing Brain Initiative from Beijing Municipal Science & Technology Commission (Z161100000216137); China-Canada Joint Initiative on Alzheimer’s Disease and Related Disorders (81261120571); and Beijing Municipal Commission of Health and Family Planning (PXM2017_026283_000002).